The IDP Wise Full Color Ribbon Package -YMCK (1,000 images) + Retransfer film (1,000 images) produces 1,000 card prints and includes a roll of retransfer film. The retransfer printing process uses a standard full color dye film to print an image onto the clear retransfer film as a "reverse" image. This retransfer film is then laminated onto your PVC card's surface. This process protects your cards from normal wear and tear for longer lasting performance. 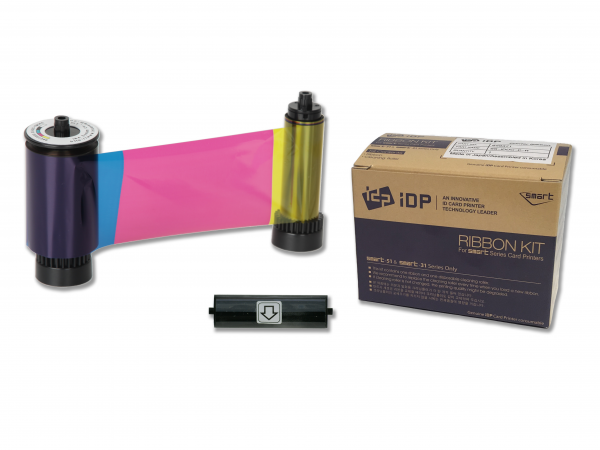 The IDP Wise Full Color Ribbon Package -YMCK (1,000 images) + Retransfer film (1,000 images) is designed for the IDP WISE CXD80 printer and installs easily. Only use genuine IDP supplies with your IDP printers for the best quality and results.